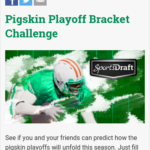 See if you and your poolies can predict how the pigskin playoffs will unfold this season. 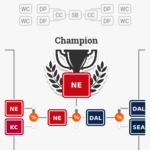 Just fill out your bracket by picking the winners of the Wild Card games, Divisional games, Conference games and, finally, the Big Game. 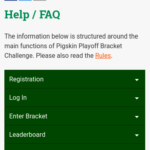 Enter your bracket anytime during the entry period from December 31 – January 5th. 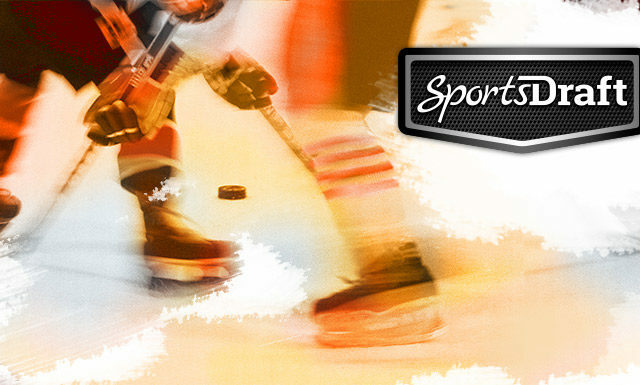 The standings will be updated after every game so you can check up on your playoff chances. 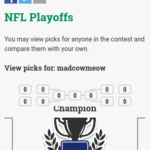 CHOOSE the winner for each game throughout the playoffs; the Wild Card games, Divisional Playoffs, Conference Championships, and the Big Game! 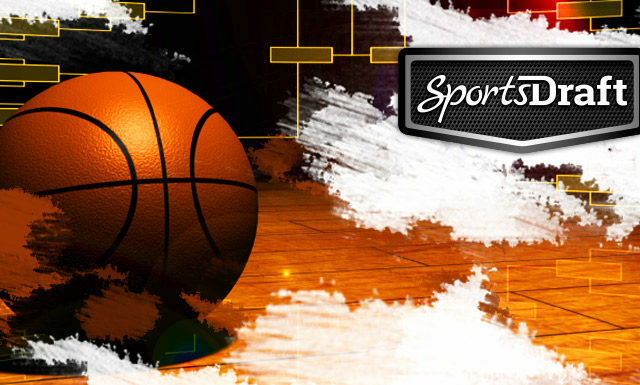 SUBMIT your completed bracket by 4:30 pm ET on Saturday, January 5. 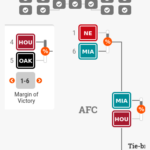 Note: The playoff matchups in the Divisional round will automatically adjust based on the playoff seeds of the teams you have chosen to win the Wild Card games. (The highest seeded team always plays the lowest seeded team remaining). Picking will open on January 1 and the entry deadline is 4:30 p.m. ET on Saturday, January 5, 2019. Only one entry is allowed per person and/or e-mail address. You may change your picks anytime before the deadline. 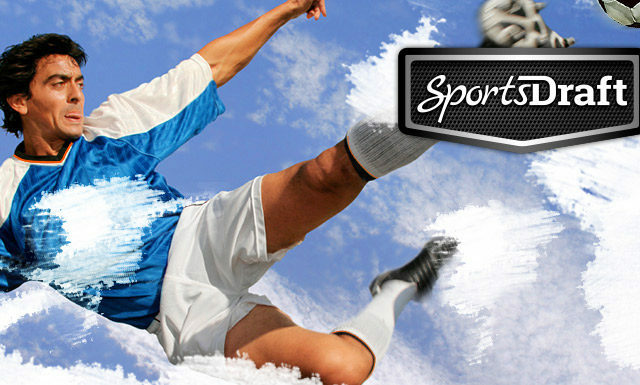 Your rank is determined by the total points you earn from all correct picks and, if necessary, by the tie-breaking procedures. The maximum possible score is 208 points. How many points will be scored by the AFC team in the final game? How many points will be scored by the NFC team in the final game?